Charles and I met a member of the Beehive Collective recently and learned more about their community building work. The Beehive Collective is most commonly known for their posters that tell stories about social and environmental justice issues. The idea is that their work will “cross-pollinate” throughout various communities and campaigns to increase awareness of the interconnection between social and environmental injustice and inspire creative approaches to problem solving and community building. As we learned more about the work of the worker bees in Maine, we found similarities in the work that we are doing. Our metaphor for the work we do involves another busy insect, the ant. The ant and trillium story is on our Home page. The worker bees in Maine are involved in community redevelopment and restoration projects that benefit the entire community. One of their momentous projects was the restoration of the Grange Hall. 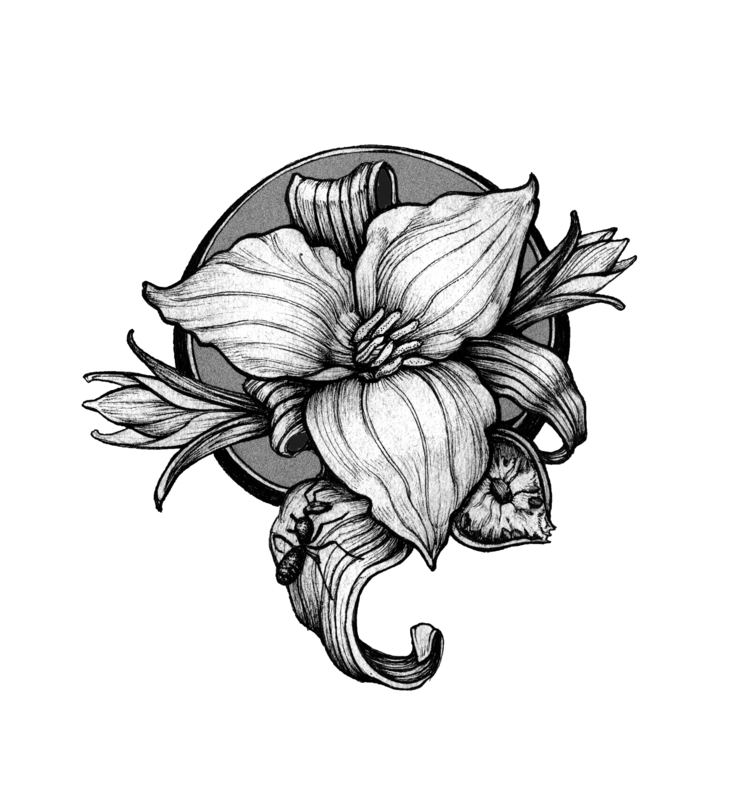 To make a long story short, I asked if anyone from the collective would be willing to create a logo for us that tells the story of the ant and the trillium. And of course, they were quite willing to help out. 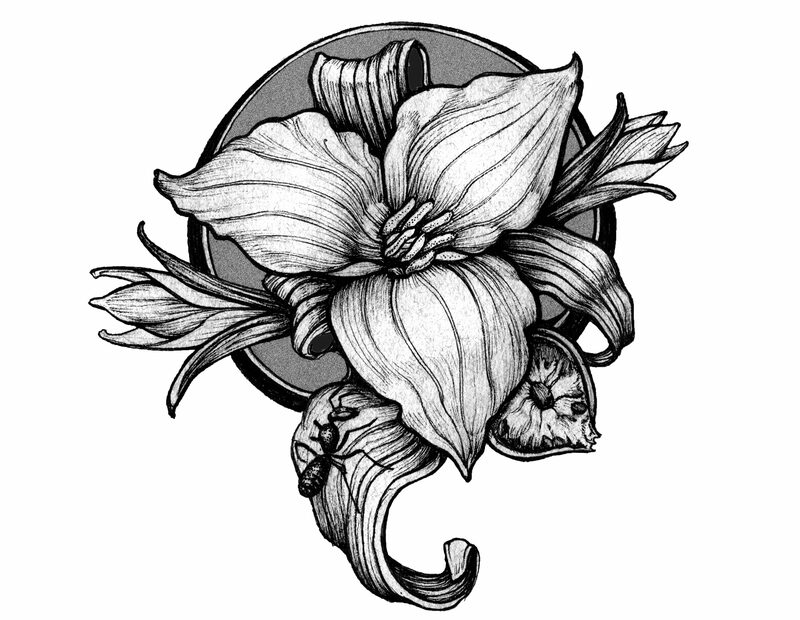 The trillium flower is the central aspect of the image. A couple of budding trilliums reach out from the sides, and from the lower leaf an ant approaches seeking the buttery trillium seeds. At the bottom right is a cross section of a seed pod. The image was created by Christina Mrozik, member of the Beehive Collective. As our story says, we are hoping to plant seeds in the hearts and minds of our participants so they can carry those seeds off from the Trillium Center and out into their communities. Click on Calendar, Projects, and Stories to learn more about what happens at the Trillium Center and BLD farm.